The Wiseman Alligator is an indicator that consists of 3 moving averages with offsets applied to identify trend absence, formation, and direction. With the default values the blue line is the jaw, the red line is the teeth, and the green line is the lips. 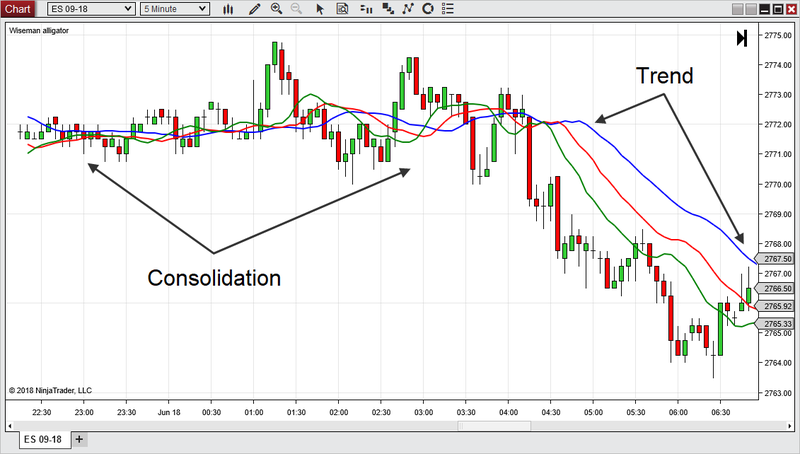 As these lines are intertwined, the alligator is sleeping and the market is consolidating. 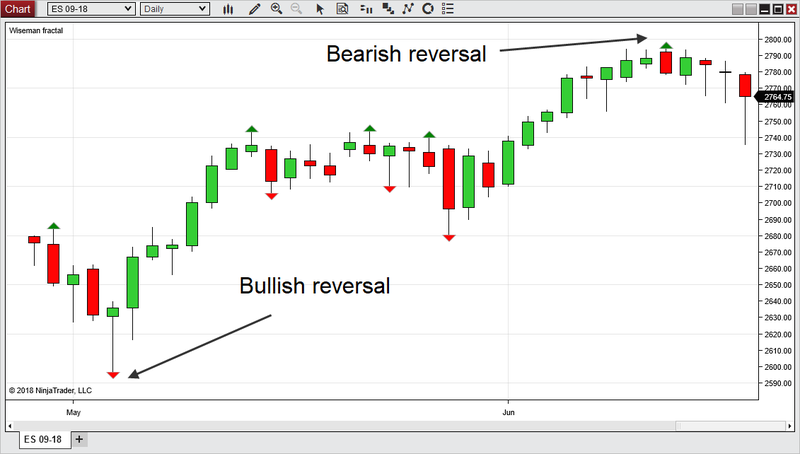 As they spread apart and continue to move in the same direction, a strong trend is indicated in the market. 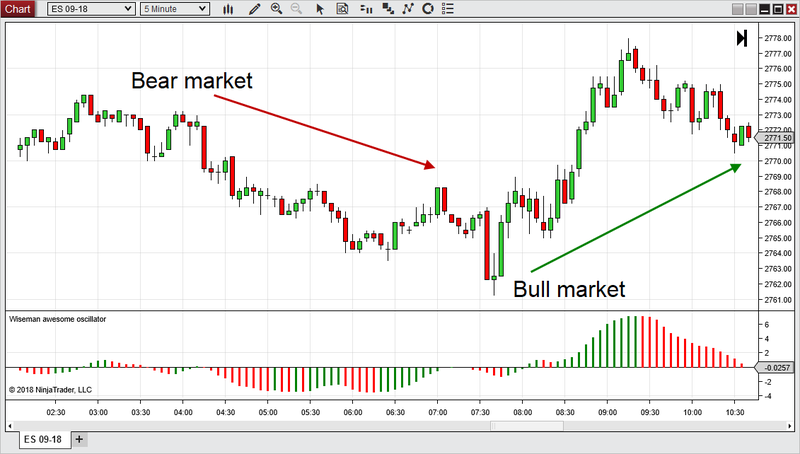 The Wiseman Awesome Oscillator is a momentum indicator to identify trends and reversals. As the oscillator is below zero the market is considered a bear market. As the oscillator is above the zero it is a bull market. The oscillator is colored green when the value is greater than the previous bar and it is colored red when the value is less than the previous bar. The Wiseman Fractal identifies areas of reversals. This is signaled by highs surrounded by bars with lower highs or lows surrounded by bars with higher lows. A green arrow is formed when there is a high surrounded by lower highs per the Strength input. A red arrow is formed when there is a low surrounded by higher lows per the Strength input.